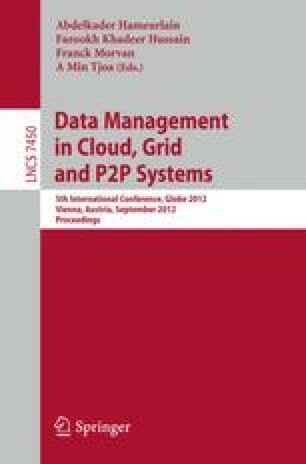 This paper proposes a novel approach for effectively and efficiently managing large-scale sensor networks defining a Cloud infrastructure that makes use of Bigtable at the data layer and MapReduce at the processing layer. We provide principles and architecture of our proposed infrastructure along with its experimental evaluation on a real-life computational platform. Experiments clearly confirm the effectiveness and the efficiency of the proposed research.